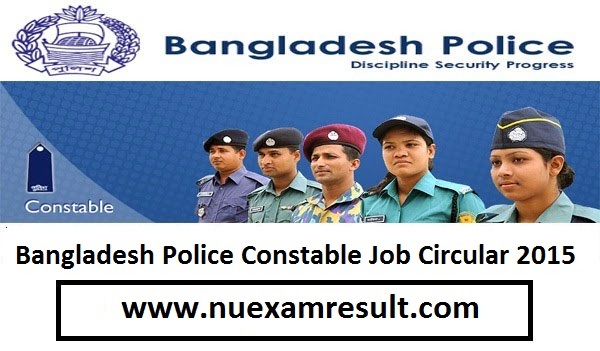 Bangladesh Police Constable Job Circular has been published. The notice is published with a view to hire a number of people in the post of Bangladesh Police Trainee Recruit Constable post. All together, 10 thousand people will be hired on this process. All the instructions have been given in the Police Constable Job Circular. We will present a brief discussion on Bangladesh Police Constable Job Circular in our site for the sake of our viewers. All applicants will be examined in several steps. The candidates who will get 45 percent marks on physical test will be allowed to participate in VIVA test of 20 marks. After that a complete merit list will be finalized demonstrating the shortlisted candidate’s names. By this process finalized personnel will participate in 6 months long training.